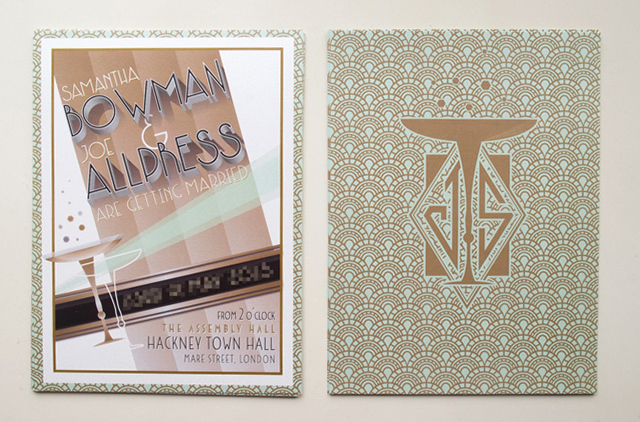 Samantha and Joe are getting married next year in Hackney Town Hall, one of East London’s finest examples of Art Deco civic architecture. 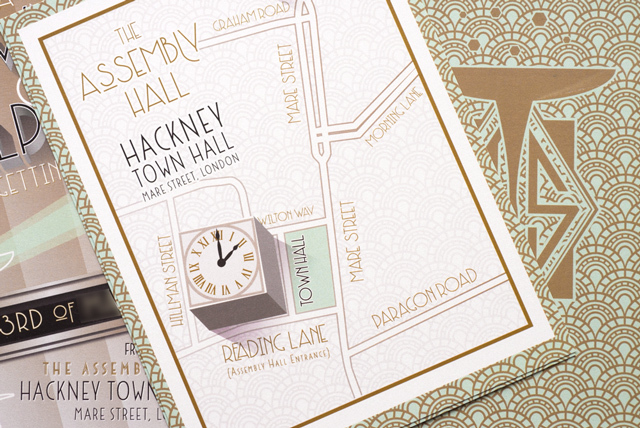 The venue is packed with original 1930s fixtures and decor, and the perfect location for anyone wanting to bring a bit of silver-screen style to their day. Sam & Joe certainly thought so, and are embracing this glamourous era in every aspect of their day. 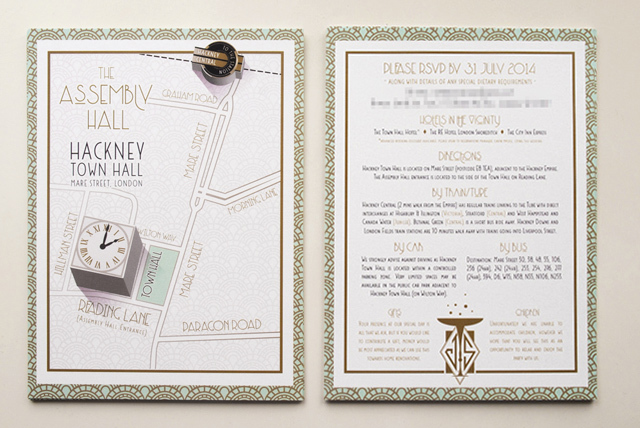 The invitations had to capture the spirit of the ‘Hollywood Deco’ era, so the first job was to get some glitz! 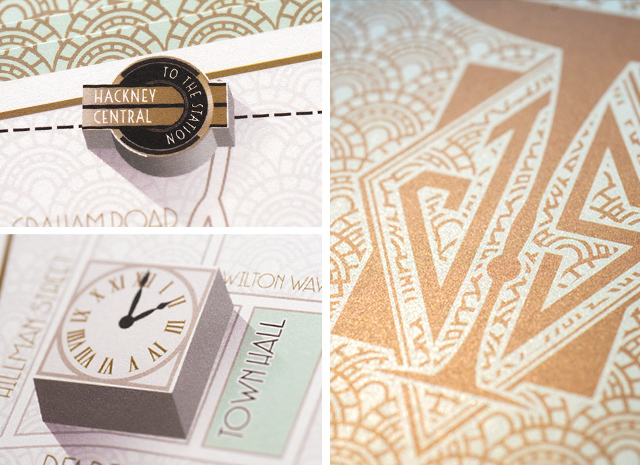 The designs have been printed on an iridescent, shimmering pearlised paper, which gives everything a deep metallic shine when the light catches it. This was topped off with a gold, green and black colour scheme, matching Sam’s colour theme and the interior of the venue. This era of Art Deco also had a much more innovative approach to design than the previous decade – artists and illustrators began experimenting with striking angles and composition, faux-three-dimensional effects and airbrushed gradients. This visual style found a perfect partner in the film poster artwork of the era… And I think you’d have to agree, it looks just as good as an invitation!